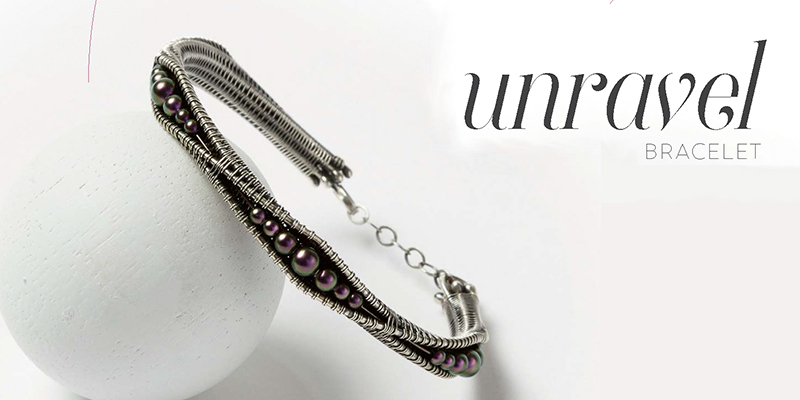 Show off the versatility of wire weaving with the unique construction of the Unravel bracelet from the must-have book Woven in Wire. The key to this wire jewelry design was the result of a happy accident that challenged author Sarah Thompson for over a year! The success of this bracelet comes down to making the splits. Small nylon-jaw pliers allow you to open and shape the weave without breaking the wires. The result is a lovely twist in the base wires of the weave, which are offset around the wrist. 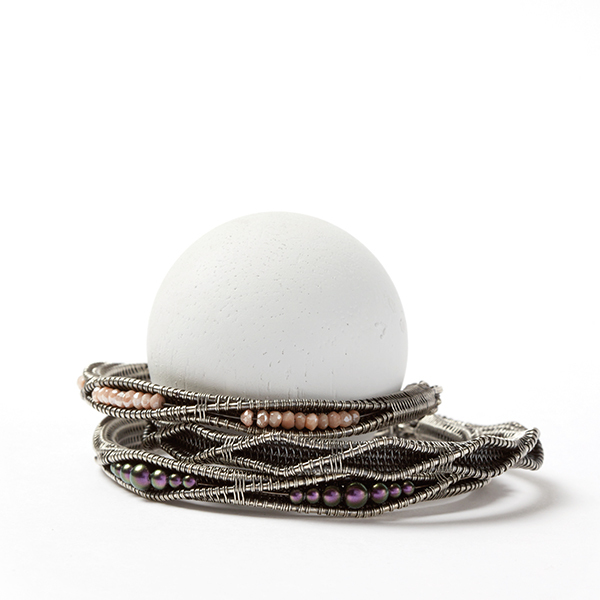 The design of the Unravel bracelet also lends itself to personalization in the form of pearl or beaded accents. It’s the kind of wire jewelry piece that will have others stunned at just how intricate wire weaving can be! Adding new skills to your wire jewelry repertoire has never been so easy. Sarah’s step-by-step instructions make wire weaving so fun, you’ll want to start the next project right away. Bracelet shown measures 7-1/2” diameter. 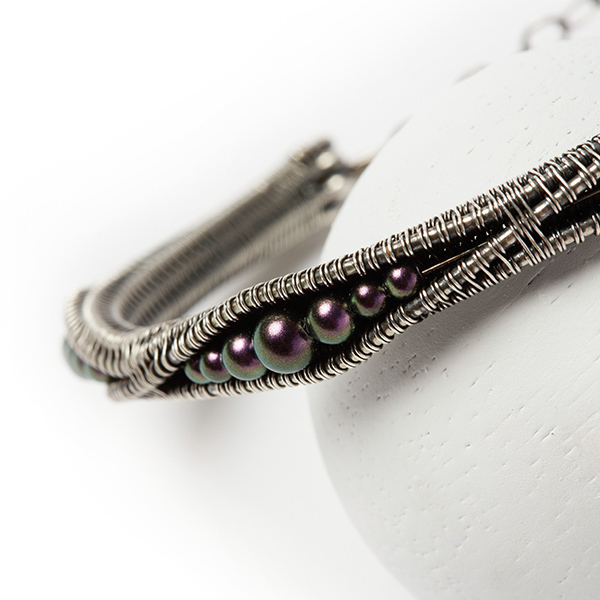 Unravel this and many other beautiful wire jewelry designs in Woven in Wire! Find this and other wonderful woven wire projects in Woven in Wire!